05/18/08 Chris Korleski, Ohio EPA Director | Concerned Citizens Lake Twp. 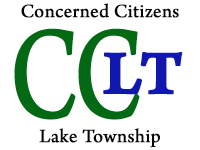 This is to acknowledge CCLT’s receipt of your letter written to our citizens’ group dated May 15th. When you were newly appointed by Governor Ted Strickland last year, you were quoted as saying that you desired obtaining “the best available science” and that you wanted to focus on protection of Ohio’s water sources. After waiting some 15 years for a change in Ohio leadership, we took heart at those words, and have since sought a meeting here with you here at our Stark Commisioner’s office through numerous requests made by Commissioner Bosley since last spring. When the call came from the Commissioner’s Office over two months ago to me, informing us that you had told the County Commissioners’ Office that you had now taken a personal interest in our Uniontown IEL case; that you were conducting a review yourself of the materials “in preparation for a meeting with us”, we again were encouraged that finally our patience & tenacity had paid off, and we would get a chance to discuss with you directly the serious technical concerns that we had compiled – scientific concerns that were based upon our numerous consultations with leading experts from around the country, including top radiation experts not only from independent academic settings, but infomation CCLT had obtained from working with US EPA Research and Development Scientists, and culminating with corroborative evidence from DOE’s premiere radiation oversight laboratory at Idaho, RESL. We in good faith proceeded to e-mail and fax you personally additional information for this upcoming meeting, so that you would be fully briefed on those concerns – just as you indicated you desired. Therefore, it was a complete shock and extreme disappointment when your letter arrived yesterday, and we learned that, instead of a meeting, you had decided to out-of-hand totally reject the sum total of ALL those top experts’ technical/scientific concerns – concerns that we now know for a fact are without question based upon the “best available science” to be found in the United States – science we thought you had wanted represented here in Ohio as the new Director. * that top scientists within US EPA themselves for years have tried to stop the EPA 900 Method being used on raw water samples for site investigations – the very same Method that the SAB Panel rubberstamped in this report that you quote from. NOTE: CCLT even gave you the name of a US EPA official who told me last summer that they ( at US EPA) ALL knew that the EPA radiation 900 Method should not be used for assessing radiation at Superfund Sites, and should be abandoned. You apparently decided not to call them either. * Thomas Grumbly, who originally came up with the SAB idea for Administrator Reilly, later decided it wasn’t the best idea after learning of high levels of tritium and Plutonium found in the first rounds from 1990, telling us that the SAB clearly “was not adequate” because they didn’t have subpoena powers to put people under oath etc., and therefore Grumbly sought a full scale Congressional investigation with such powers for IEL. ( He obviously didn’t get it). Just because the US EPA made a serious error IEL by not consulting with Idaho RESL, the US government’s radiological reference lab,why must you remain in lock step with US EPA by recycling tihis mistake? We point to, as illustration to this, a letter signed by Congressmen John Dingell & Bart Stupak to Energy Secretary Bodman, 6/26/07 in discussion of the importance of preserving Idaho’s RESL lab …. also ” serves as a reference lab for numerous other Federal agencies such as the Environmental Protection Agency and the Nuclear Regulatory Commission.”…begging the question- why didn’t the IG turn to RESL for help on IEL vs. going out of the country? * The late fall 2000 spectorgraph from test well # 1, which we were told that any qualifed radiochemist “worth their salt” would have seen that had the counting not been stopped at just 2 hours, and counted the miinimum length of time that DOE counts – 16 hours, 40 counts of pure plutonium 239 would have been reported – with good count error. * The fax we sent you showing results from earlier IEL boreholes that had very good count errors indicating “valid hits” of both weapons form of Plutonium 239 as well as Pu 238 – samples your own staffers fought for. We specifically requested that you investigate the US EPA claim regarding the scientific validity of the argument used by NAREL to “dis” these valid hits ( which had recounts statistically identical to their original counts), regarding whether the samples should have been expected to “be reproduced” a third, fourth time, given that an acid wash was most likely used. * The grossly misleading claim made to assure the Court that EPA was continuing to monitor for radiation, when it hadn’t tested in approx. 7 years, and had only sampled one well ( incorrectly) after that, with zero rad monitoring subsequently, after 33 test wells were permanently sealed to prevent such montoring ever in the future. In essence, Mr. Korleski, what you are telling citizens is that we must top bothering Ohio EPA about evidence/information obtained from top US scientists that shows that best available science was NOT used at our Superfund Site, because you and your staff are not interested in hearing about good science. You are basically telling us that you have chosen to ignore citizens and experts requests that Ohio EPA seek out best available science by consulting with the experts we have worked with, that you simply prefer to rely upon outdated and unsound information, just because these reports were written for US EPA, and US EPA is the “lead” agency – regardless of the facts and evolving scienctific information. ( To that end, meeting with citizens would not be a good idea, because we won’t shut up about the things we have learned from these scientists. Such a meeting would be detrimental to the carefully crafted and maintained house of cards. And, once again, you are now following US EPA’s lead by discrediting the citizens, making us out to be “difficult” and not willing to listen to reason, thus nicely discrediting us to the Governor on down in your letter. We are greatly saddened by your decision. Unfortunatley you have now provided yet another case in point for the Union of Concerned Scientists, members of Congress and the scientific community, who are convening hearings and meetings in Washington D.C. in the months to come in dealing with this very issue -Scientific Intergity and the immense political pressure on EPA that has clearly resulted in EPA not following best available science. As members of this community who have seen far too much sickness and deaths as a result of IEL, we cannot so readily dismiss the advice from these concerned scientists as you apparently have been able. CCLT will continue to pursue sound science for a safe and permanent cleanup of Uniontown IEL to insure that the area’s water supply is protected -with or without the support from Ohio EPA that we had long hoped for, but now understand is not forthcoming.